Stephanie Allgood | RowAmerica Greenwich | Come Join Us! Stephanie graduated from the University of Connecticut with a degree in Human Development and Family Studies in 2008. Stephanie began her coaching career with volunteering as assistant coach for her high school swim team. 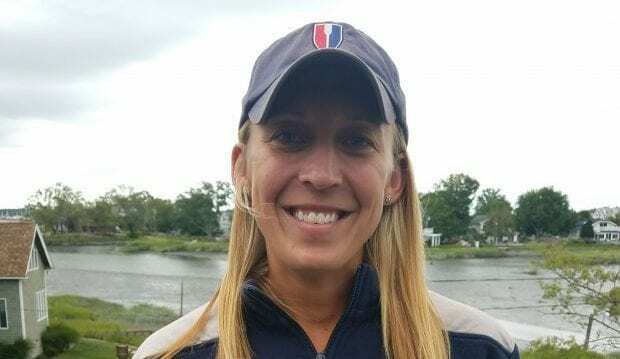 From there she moved onto rowing and has coached numerous programs from middle school learn to row to high school varsity. She has also traveled with an international team building company using rowing as their team building platform as far as Singapore. Stephanie is also a NSCA strength and conditioning specialist and has been setting up training plans and personal training individuals since 2008. Stephanie still competes today, not only in rowing but open water swimming and triathlons.